We live in a dynamic, on-demand society where all our needs can be accessed on our smartphones. From ordering dinners to finding a plumber, consumers are ordering these products and services through mobile applications. Today, Mobile Styles is shaking the tradition of the health and beauty industry. 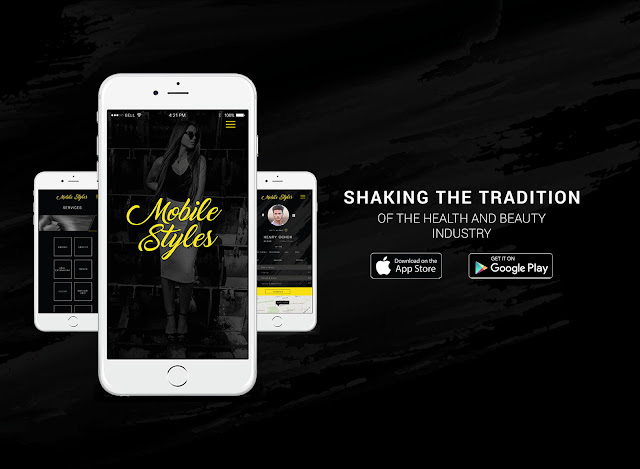 Mobile Styles is your on-demand health and beauty app where consumers select the service and provider they want and these licensed professionals will come to the user anytime, anywhere. Launched March 2018, Mobile Styles is quickly expanding its horizons as it mediates between on-demand professionals and on-the-go consumers in Los Angeles and Orange Counties and will be fast expanding to different cities in Nevada, Arizona, New York, and other states nationwide. The app's services include hair, barber, nails, massage, tanning, as well as kids' hair and events like weddings or bachelorette parties. "For the longest time," Mobile Styles CEO Ally Spinu says, "consumers had to fit into their busy schedules a day to their hair or nails done only to find out their provider is not available on that day." According to a research conducted by Mobile Styles, US spas and salons raked in $40B in sales from a workforce that's 65% freelance. Mobile Styles is disrupting an established health and beauty industry by allowing freelancers to provide their services anytime, anywhere. Mobile Styles also allows service providers to create their own schedule and price their services, while consumers with very active lifestyles now have the chance to get the pampering they deserve any day they want. By blending beauty and technology, Mobile Styles saves consumers time by pairing them with providers who fit their schedule, while the same providers receive highly competitive compensation for their services. Making health, beauty, and wellness available to consumers with a tap of a button is reshaping how health and beauty professionals are acquiring their customers. And the people are responding positively by changing the way they perceive and utilize the on-demand health and beauty industry. There has been a spike in men receiving beauty treatment from once a month to 2-5 times a month. On the other hand, women now receive on average 3-12 beauty treatments a month, up from 2-3. With its quick ascension to popularity, Mobile Styles is partnering with one of the biggest gathering for women in the nation, The Ultimate Women's Expo which is set from April 14-15, 2018 at the Anaheim Convention Center. The Women's Expo is bringing the shopping, pampering, and all the positive speakers under one roof, so all the expo participants can feel rejuvenated. At this year's expo, top celebrities and keynote speakers will be gracing the Mobile Styles stage to inspire and encourage exposition participants. "Our partnership with the Ultimate Women's Expo," Ms. Spinu says, "is a testament and commitment to our growth and making sure that women's, and men's, needs in this on-demand economy are addressed and prioritized." Chat with the entire Mobile Styles team at The Ultimate Women's Expo at booth 418 and 420.